Over the past few years, the high-end smartphone market in India has been seeing a lot of action. The difference between a premium flagship and a high-end smartphone is very little these days. Most high-end phones rock the flagship hardware and offer a good bang for the buck. Needless to say, OnePlus dominates the segment with over 48 percent market share according to a report by Counterpoint Research in February. Huawei’s sub-brand Honor too has been making a lot of noise and its mid-range portfolio catapulted the brand in the top 5. With this context in mind, the fight between the two phones — The Honor 10 and the OnePlus 6, both launched just a day apart from each other, gets all the more exciting. OnePlus is of course the established player here while Honor is taking a shot at dethroning its rival. 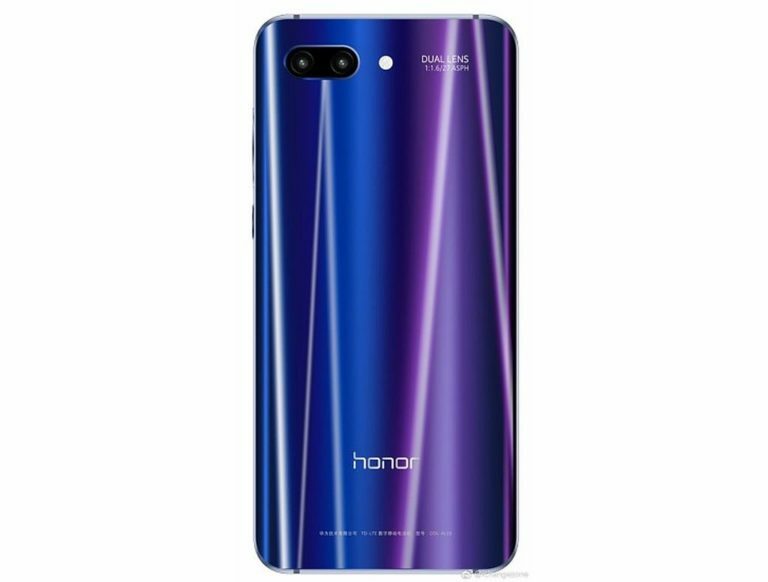 But can the dazzling Honor 10 match up to the speed of the OnePlus 6? We pitted the two phones against each other to see which performs better than the other. First, the hardware under the hood. The Honor 10 starts off at a disadvantage, at least on paper. The phone relies on an aged HiSilicon Kirin 970 chipset. It’s manufactured by Honor’s parent company and has been powering the flagship Honor and Huawei phones from late last year. Benchmark reports will peg it more closer to the older Snapdragon 835. It has four efficiency Cortex A-53 cores clocked at 1.8GHz along with four performance Cortex-A73 Cores clocked at 2.3GHz. Interestingly, the chipset is quite identical to its predecessor, the Kirin 960. But the newer chipset has a newer Mali G72MP12 graphics which is much more powerful than the Mali G71 on the Kirin 960. Furthermore, the Kirin 970 has a dedicated Neural Processing Unit (NPU) inside which handles the on-device machine-learning tasks exclusively. That chipset is coupled with up to 6GB of RAM and 128GB of storage. 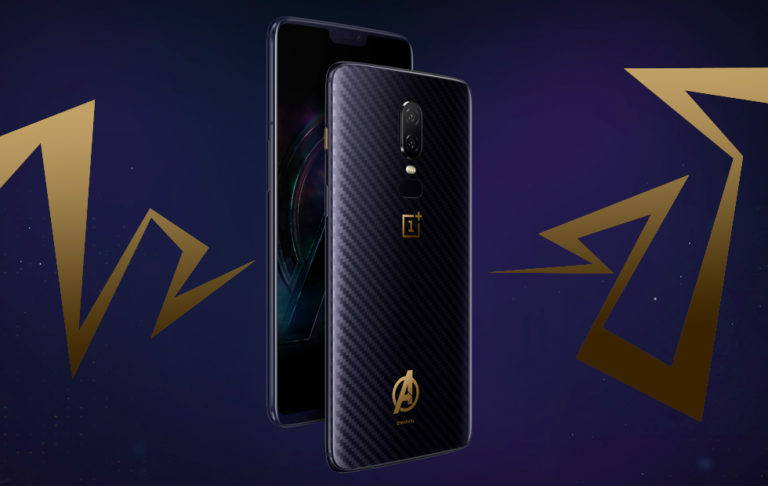 The OnePlus 6 on the other hand happens to be the first phone in India to be powered by the Qualcomm Snapdragon 845 chipset. It’s the latest 8-series chipset released by the chipmaker and has been tuned for either speed or efficiency. You can either get a 30 percent boost in performance or a 10 percent increase in efficiency. Like the Kirin 970, the chipset has also been built on a 10nm manufacturing process. The Snapdragon 845 touts eight custom Kryo cores clocked at a max speed of whopping 2.8GHz, which makes the OnePlus 6, the fastest device out there in India right now, at least on paper. 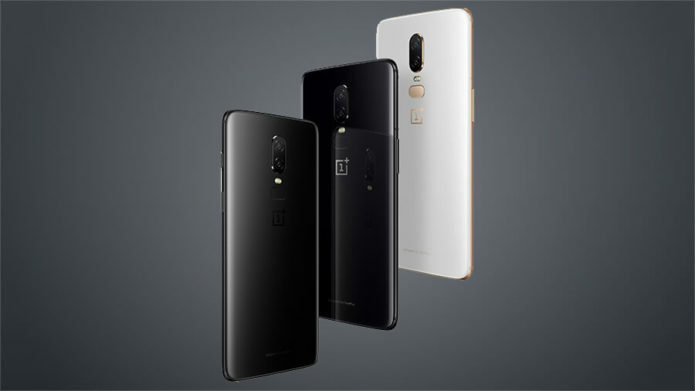 Couple that with up to 8GB LPDDR4X RAM and 256GB UFS 2.1 storage and the OnePlus 6 definitely punches above its weight. The OnePlus philosophy is simple. Offer the most and charge the least. The company’s devices have always sported flagship-grade hardware but offered at a price that would put flagship phone makers to shame. Honor, on the other hand, has been all about innovation. Honor’s flagship lineup have relied more on the company’s R&D division than raw performance. 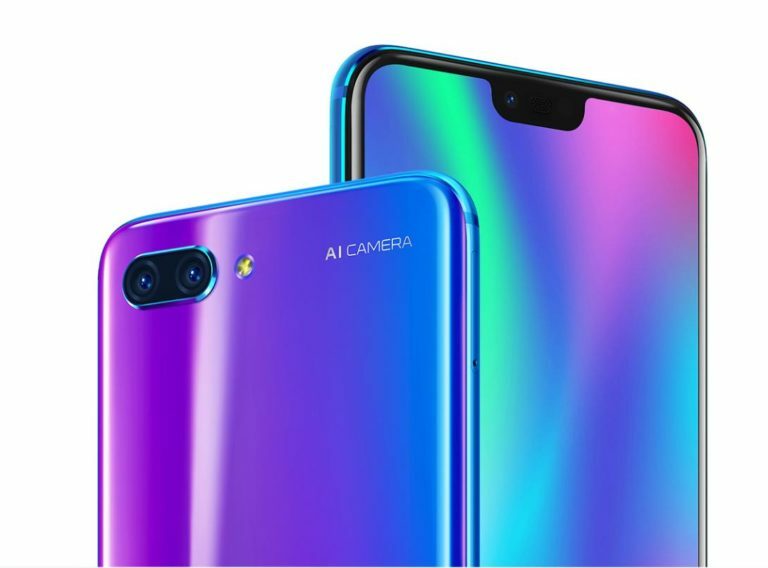 For instance, the Honor 10 relies heavily on AI to make the camera better as well as tune the performance based on your usage habits. The OnePlus 6, on the other hand is all about brute power. The company didn’t mention the ‘AI’ word even once during the launch keynote, which is an indication that the OnePlus 6 doesn’t really bother much about the hottest buzzword in the tech industry right now. 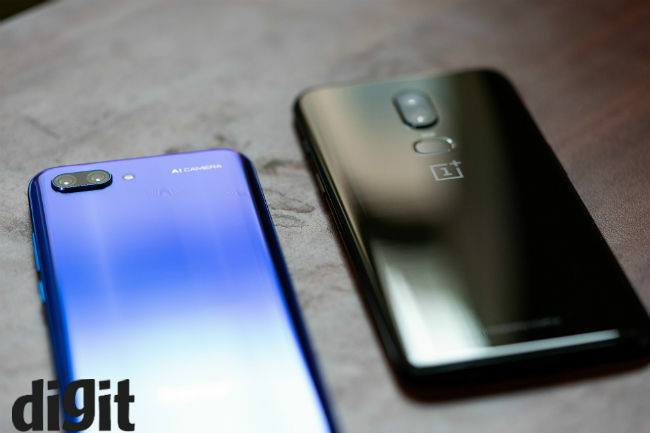 Both the Honor 10 and the OnePlus 6 are perfectly capable devices on their own. Despite an older chipset, we observed that the Honor 10 is just as reliable as any other flagship phone currently out there in the market. In our review, we noted, “Everything works acceptably fast and smooth on the Honor 10, whether its multiple rounds of Need for Speed, a few matches in Injustice or even if its to edit the RAW photos using Snapseed. There’s no lag, no stutter and most importantly, no crashes.” This essentially sums up the real-world performance of the Honor 10. However, the benchmark reports will expectedly peg it in competition to phones powered by the Snapdragon 835 including the Google Pixel 2 XL, the OnePlus 5T and the likes. Even there, the Honor 10 consistently outperformed all other Snapdragon 835-powered phones on AnTuTu 7.0 while on Geekbench Single and Multi Core benchmark tests, it was neck-to-neck with the competition. What was surprising though was the rate at which the Honor 10 heated up during our performance testing. In fact, the 3D Mark Slingshot Extreme test, that measures the graphical prowess of a smartphone, forced closed after getting an overheating warning. The same heating is present when taking photos, especially in Pro Mode. Benchmark scores puts the OnePlus 6 right below the Galaxy S9+. It got a score of 244517 on AnTuTu 7.0 while on Geekbench Single and Multi Core tests, it got scores of 2372 and 8502 respectively. However, the 3D Mark Slingshot test pegged the OnePlus 6 even higher than the Galaxy S9. Benchmark scores are never the one all and be all of performance testing. One has to rely on how the phone performs in real world usage to know whether it’s reliable or not. In that case, both the Honor 10 and the OnePlus 6 are perfectly reliable. Just that, the OnePlus 6 simply feels faster. That’s because of the lower touch latency of the display that makes it extremely sensitive to touch while the Oxygen OS that powers the phone is optimised for speed. The user interface is one of the biggest culprits in bogging down a phone after a period of use. The Oxygen OS is not one of them. 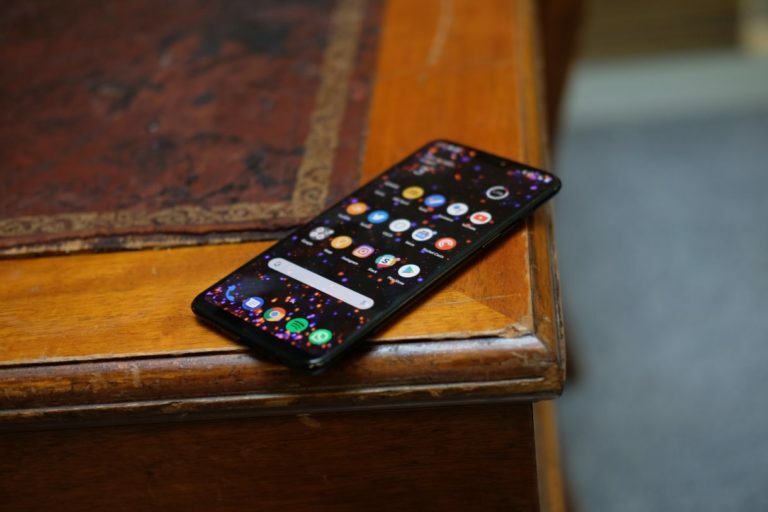 Taking precedence from the past, the OnePlus 5 and the 5T that we sometimes is still just as fast as before, but the Galaxy S9 which runs on Samsung’s proprietary UI has already started to stutter and stumble after less than two months of use. 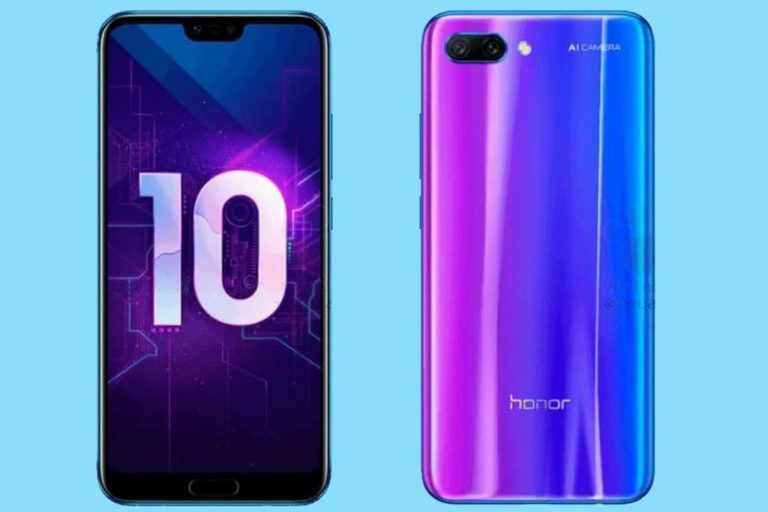 The Honor 10 relies on the EMUI 8.1 interface, which is upgrade from the one that powers the Huawei P20 Pro. EMUI 8.1 is more or less stable with no app crashes or stutters. In fact, we noted in our review that the phone was able to play a 4K video from its own camera in HEVC format without any stutters. What’s irksome is the bloatware that is shipped with the Honor 10. There’s a separate app for everything — Email, Browser, Music, etc. Apart from that, the phone comes loaded with social media apps and random games. Thankfully, they can be removed manually. As far as brute force is concerned, the OnePlus 6 is a clear winner here. But the Honor 10 with its intelligent UI that allocates the resources based on the usage pattern is just as reliable. The OnePlus 6 will not slow down no matter what you throw at it, and you can literally feel how fast the phone is, minutes into using it. The Honor 10, in that sense, feels more or less like other flagship phones, which is not at all a bad thing. An enthusiast will always prefer the extra speed. The OnePlus 6 will give users that. But in case you want a smartphone where speed is important but not as necessary as other things like a stunning new design, AI-powered cameras and a longer battery life, the Honor 10 is the phone to choose. The fact that it’s much cheaper than the 8GB variant of the OnePlus 6 only makes the choice easier.